*Mom Fabulous was invited by BALEEN for a night of dining. All opinions are our own. How does dining with views of the sea, sand, and sunset as you drink wine and feast on freshly caught seafood sound? 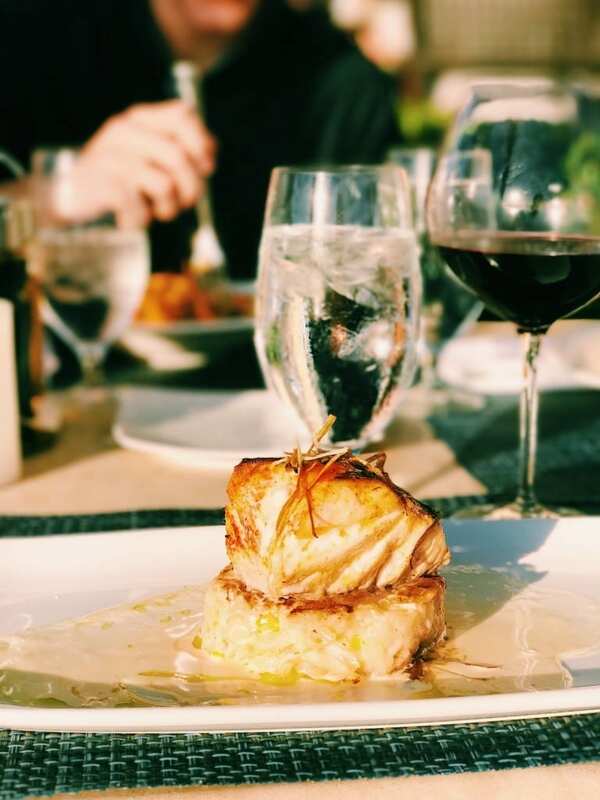 That’s exactly the experience you’ll receive at the BALEEN Naples restaurant inside The Club at LaPlaya Beach & Golf Resort. 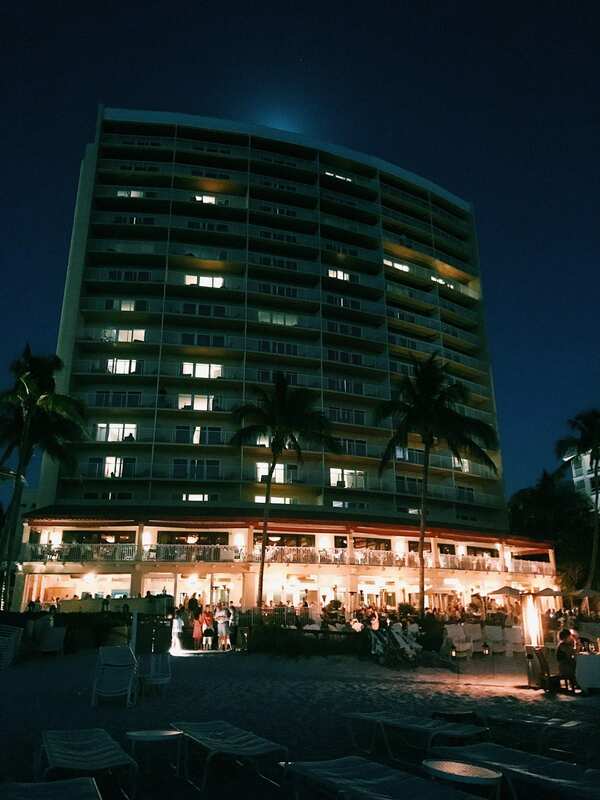 The LaPlaya Beach & Golf Resort is celebrating their 50th anniversary in a big way. By sharing how they’ve ‘transformed 50’ with both travelers and locals, showcasing their $30 million property-wide renovations. Part of this renovation was a stunning new look for their restaurant BALEEN Naples. 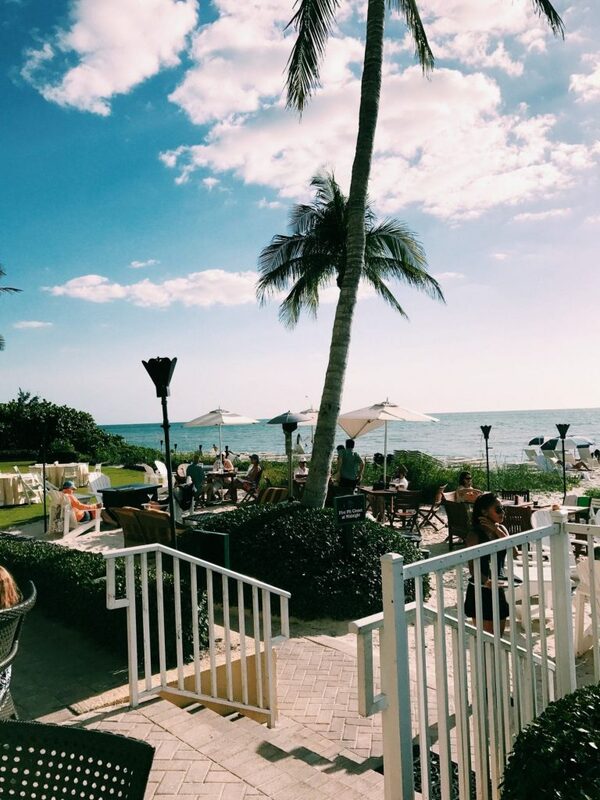 You’ll experience toes-in-the-sand dining with a million dollar view of the Gulf of Mexico. Here’s everything you need to know about dining at BALEEN. When you arrive at BALEEN, you’ll be greeted with valet parking service. For a $5 fee, the staff will take care of parking, while you make the short walk to the restaurant. You’ll walk through a beautiful lobby area on your way to the hostess table. You can choose to sit inside or out, but with views like this, the choice of where to sit is obvious. 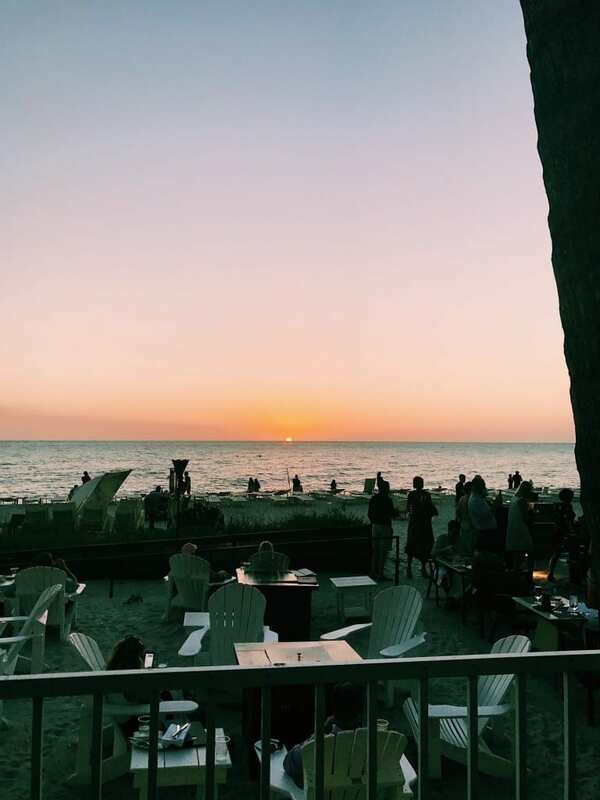 If you’d like a view of the sunset, plan on arriving an hour to an hour and a half before time so you can order and enjoy your meal first, and then completely soak in the gorgeous view. 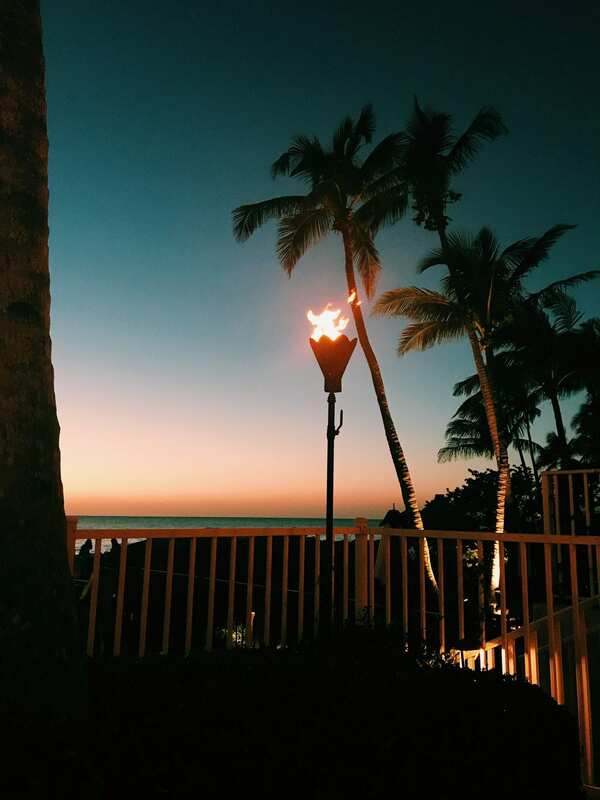 As the sun is setting, the guest sitting closest to the bell will ring it and everyone claps. It was quite a fun and nice surprise, not to mention one fantastic way to celebrate a special evening. 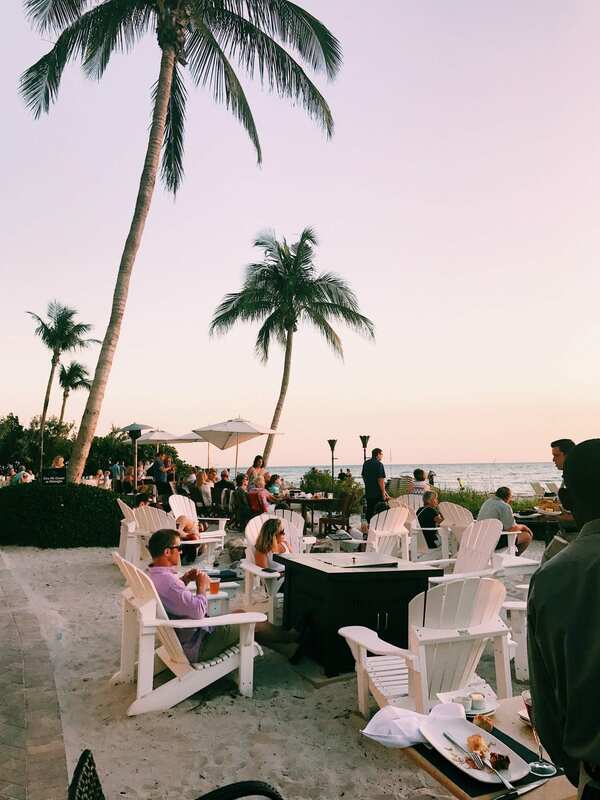 Speaking of special evenings, if you’re celebrating an anniversary, birthday or are planning on popping the big question, reserving a barefoot beach table sitting directly in the sand is the way to go. You can choose from their Silver or Gold menu options and create an evening that will be remembered forever. 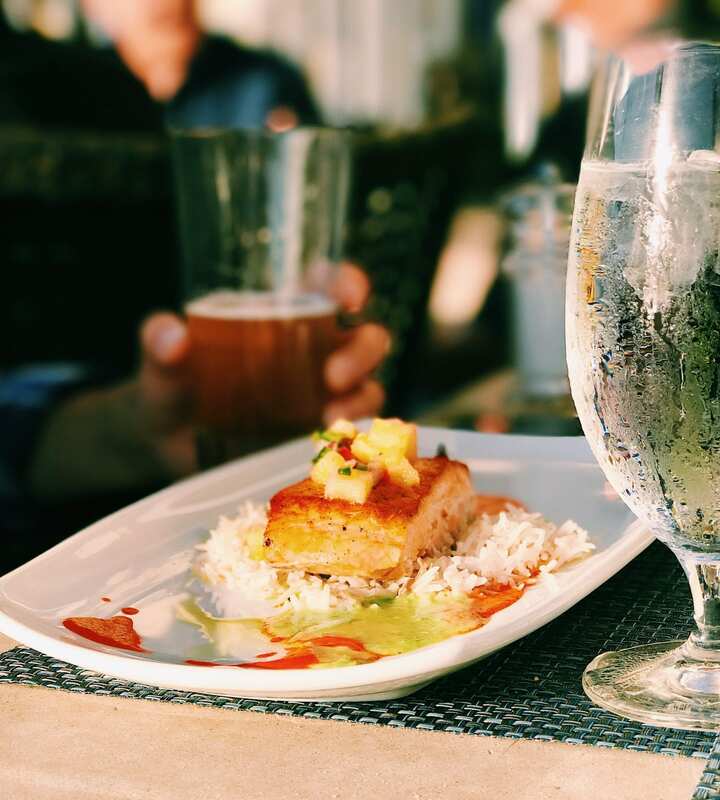 BALEEN offers Breakfast, Lunch, and Dinner, as well as their Sunday Champagne Brunch. Their brunch is set at $34 per person and includes a starter, entree, dessert plus complimentary champagne and mimosas. Here’s a peek at what we had for dinner. We started off the meal with a glass of wine for myself and a glass of beer for my husband. Malbec is my favorite wine and I was happy to see they had quite a few on the wine list. I had a glass of Layer Cake 2014 and it did not disappoint! 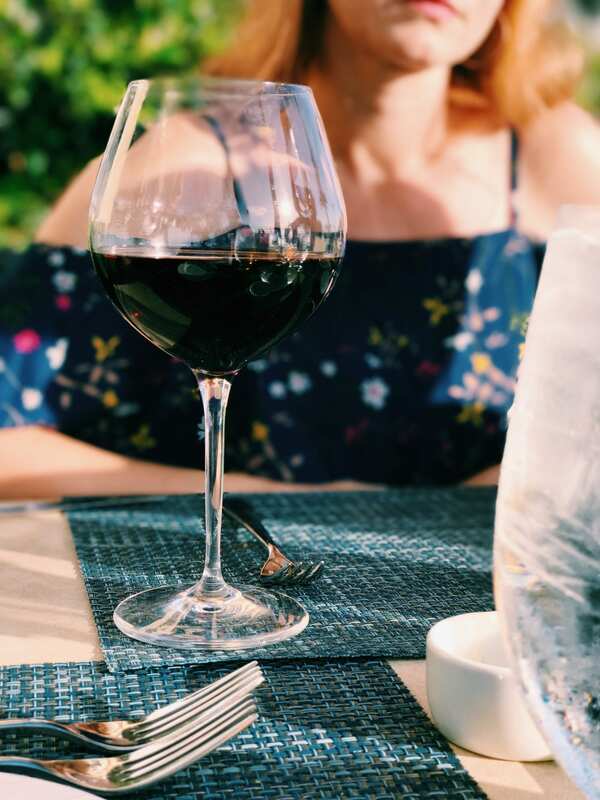 There’s definitely something special about sipping on your favorite wine, spending time with your family and soaking in one of the best beach views we’ve ever had. 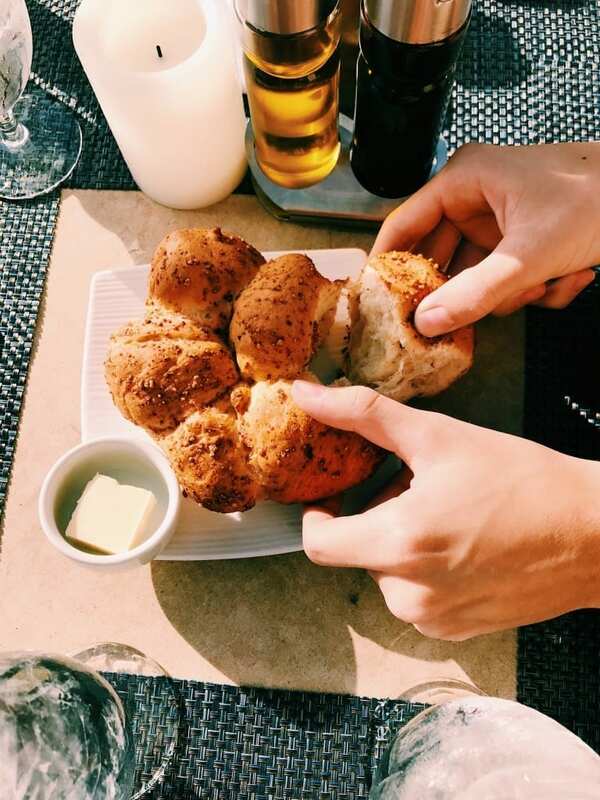 Our waiter also brought us a hot, delicious plate of bread, which was seasoned to perfection and served with butter, olive oil and balsamic. This was the perfect way to start our meal. We split the salads so we would have room for our meal and dessert. The salads were the perfect size for sharing. The Heirloom Apple Salad was fresh, crisp and the herb vinaigrette was delicious. I couldn’t pass up the chef’s special, which was blackened grouper on a king crab & charred corn truffle risotto cake. It was topped off with champagne citrus beurre blanc sauce. The grouper was moist, flaky and full of flavor and one of the best fish dishes I’ve ever had. My husband had the salmon, which was cooked to perfection. 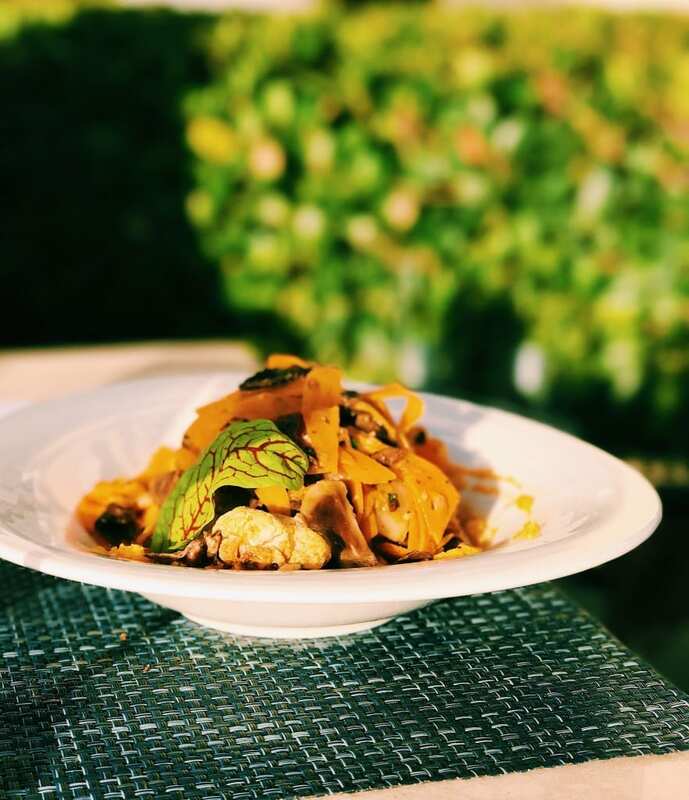 The Squash dish features sweet potato noodles and cauliflower, with butternut hummus and coconut curry sauce. It was a beautiful dish they both quickly inhaled. Although we were full beyond belief, there’s always room for dessert! Especially when we heard the words Key Lime Pie and Chocolate Kahlua Cake. The Key Lime Pie is topped with Vanilla Orange Whipped Cream. 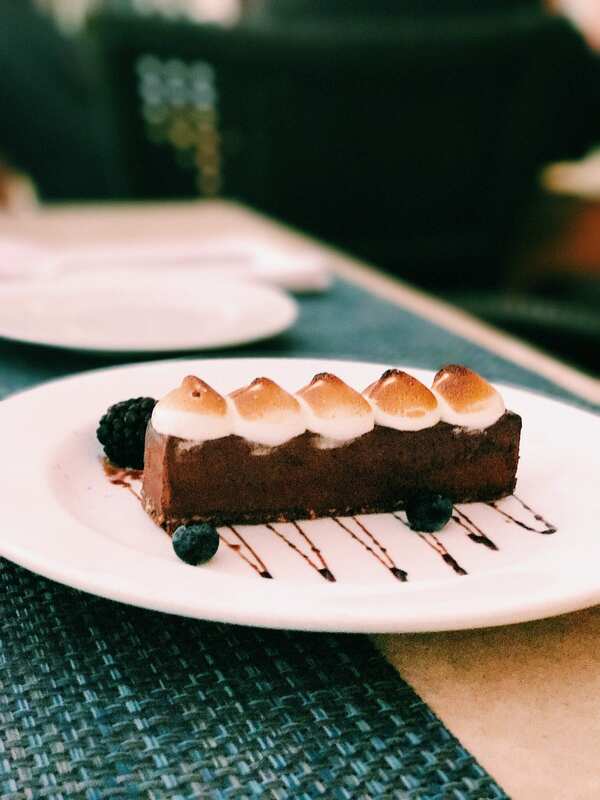 The Chocolate Kahlua Cake is a Chocolate Ganache and Kahlua Mousse on Chocolate Croquant topped with Torched Meringue. Needless to say, these were absolutely mouth watering and the perfect way to end our evening of indulgence. During our meal, our waiter Julio made sure we had everything we needed, answered all of our questions and filled us in on what the restaurant and his home were like after Hurricane Irma. It was great to see how well the restaurant and resort recovered after such a brutal storm. We ended our evening with a short stroll along the beach. As we were walking around, we noticed families and couples sitting by their own private fire pits enjoying s’mores and glasses of champagne. 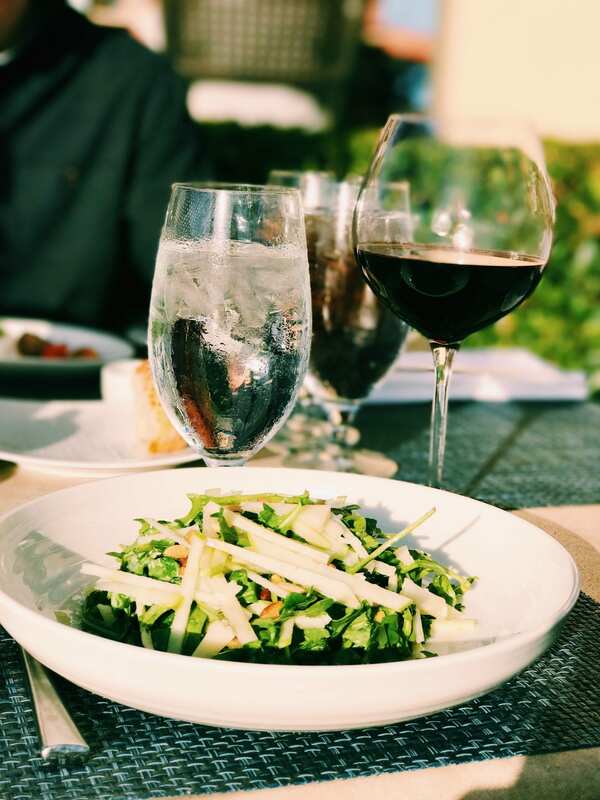 If you find yourself in Naples and want to treat your family or significant other to a night to remember, call for a reservation at 239-598-5707.